Following assessment, if retraining is required, you may feel that assisted training sessions would be helpful. It can be very useful to get immediate feedback and support, particularly if you are developing new skills. You can choose between assisted training sessions or a written training programme, or a combinationof the two. However, you do not have to have problems with your horse's behaviour to book a training session! 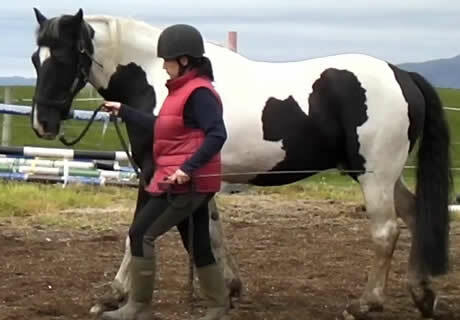 Improve your handling skills, or learn in-hand exercises with your horse. 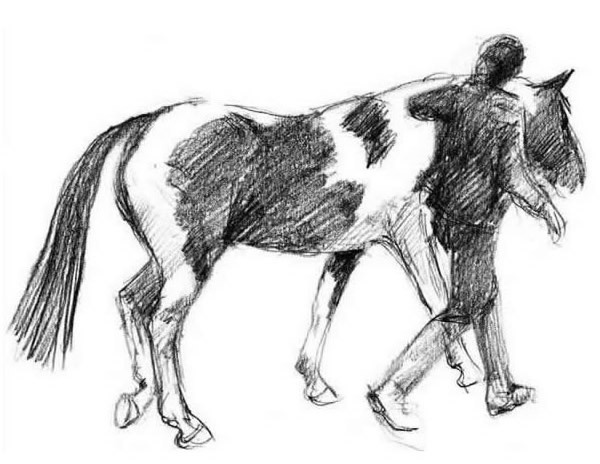 Learn how to communicate more clearly with your horse - how to listen to him as well as how to talk to him! Make riding a happier and more harmonious experience for both you and your horse. All of the above will improve your training skills, which can then be transferred to ridden work, and will help you and your horse towards a more harmonious and successful relationship.